Great Lakes Brewing Co. is one of the original craft beer breweries. Based in Cleveland, they’ve been around for more than 30 years. They recently introduced a new year-round IPA. Last year, they introduced something even better: an Employee Stock Ownership Plan (ESOP), which means all of their employees are now employee-owners. It was a classy move on the part of the founders, brothers Patrick and Daniel Conway. Great Lakes CEO Bill Boor, in this article. 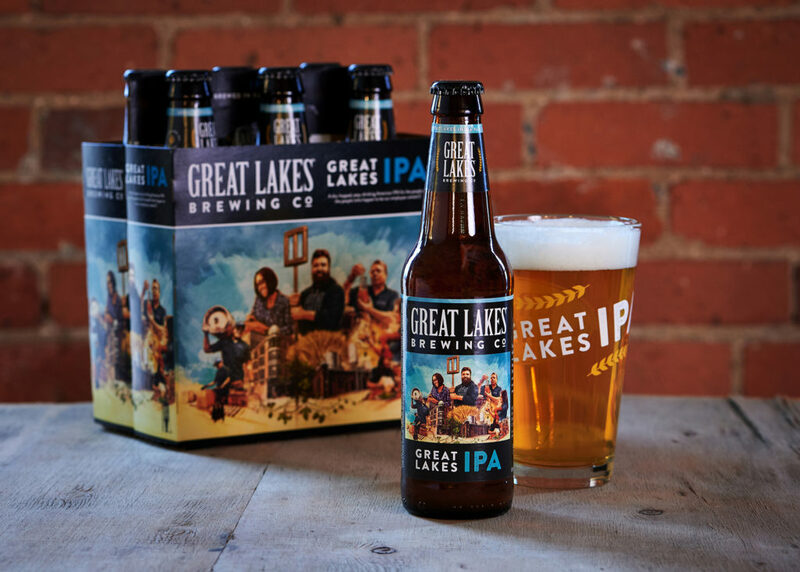 The people portrayed in the artwork on the new IPA bottle label and six-pack carrier are folks who work at Great Lakes. One is an acquaintance of mine. Lisa Farmer is the regional sales manager for Great Lakes in the Cincinnati area. Lisa’s third from the left… writing up an order. 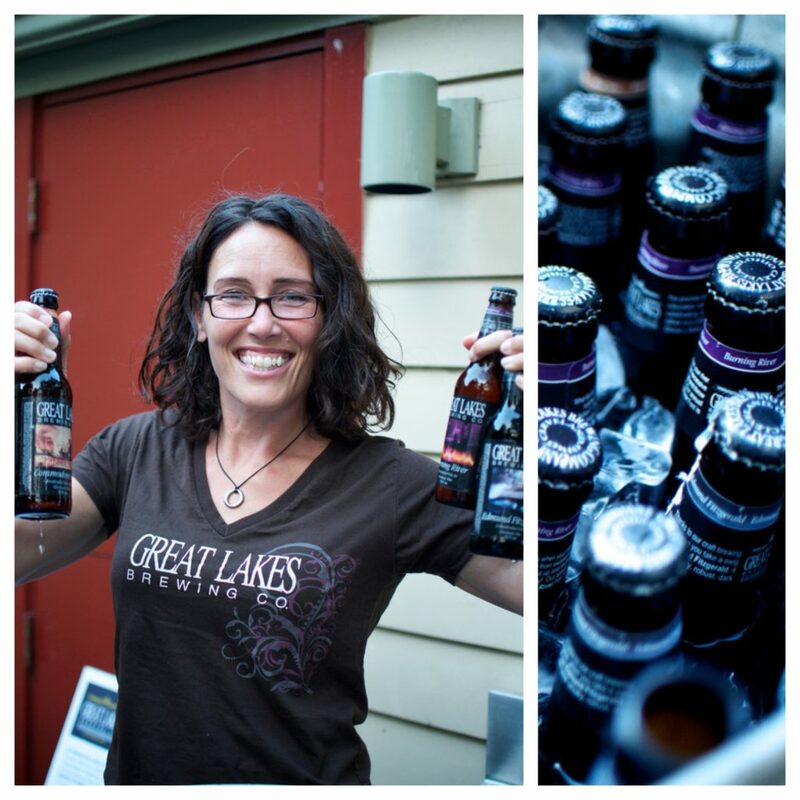 Lisa’s been working at Great Lakes for 16 years, calling on restaurants, bars and supermarkets, and working promo events that typically take place after normal working hours. Now, that loyalty is being rewarded. Being on beer labels and coasters is pretty cool. Being an employee owner is even cooler. Several other beer companies have also gone the ESOP route: Deschutes, Harpoon Brewery, Left Hand, New Glarus, Alaskan Brewing Co., Voodoo Brewery, Odell Brewing (partial ownership), and New Belgium and Switchback, which are wholly-owned ESOP companies. (Source.) Think about that the next time you’re buying some brewskies… all other things being equal, why not spend your dollars in a way that benefits the people doing the work to bring that beer your way? 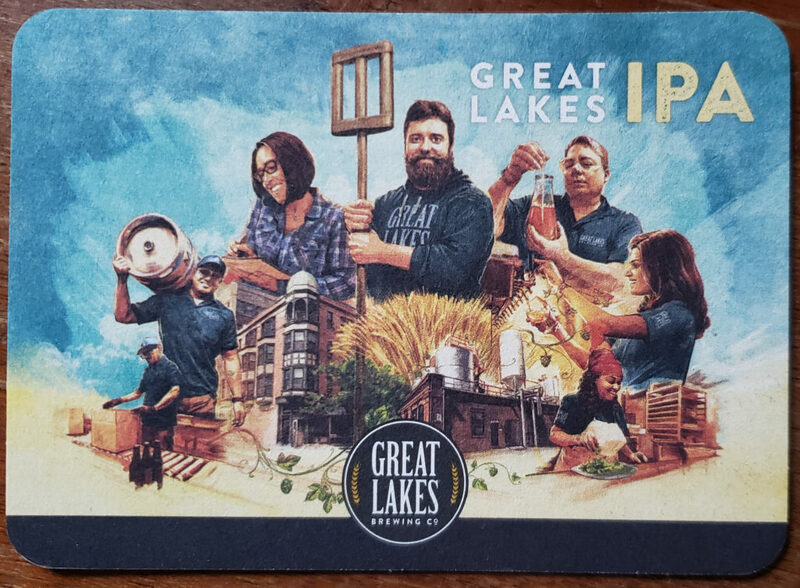 This entry was posted in Advertising, News and tagged ESOP, Great Lakes Brewing Co by Damian. Bookmark the permalink. I’ll happily toast to those breweries and employee-owners. “Thanks for the information.” (Like the Van man says).